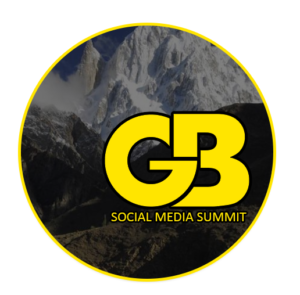 Islamabad: This is first time in Pakistan that the people of Gilgit-Baltistan are given importance in events like social media summit. After the successful execution of social media summit (SMS) now AlphaPro is Colaborating with Sada-e-Himalaya to gather more than 500 students from Gilgit-Baltistan who are studying in different cities of Pakistan. The event is going to be held on 23rd December, 2018 at Rawalpindi Arts Council, Rawalpindi. Many prominent figures including Social Activists, Lawyers, Human Rights activists, Doctors, Engineers and internationally recognized from Gilgit-Baltistan will also be a part of this summit. Such events will boost harmony among Pakistanis and also make sure that people from all provinces re taken together in such activities. People of Gilgit-Baltistan don’t lack potential but lack opportunities like these. The event is expected to encourage the people of Gilgit-Baltistan to take part in this Summit as well as any future activity by Team AlphaPro. ← AlphaPro Opens Door for French Media, Naya Pakistan in Making! AlphaPro Opens Door for French Media, Naya Pakistan in Making!